Require a deposit upfront? No worries! 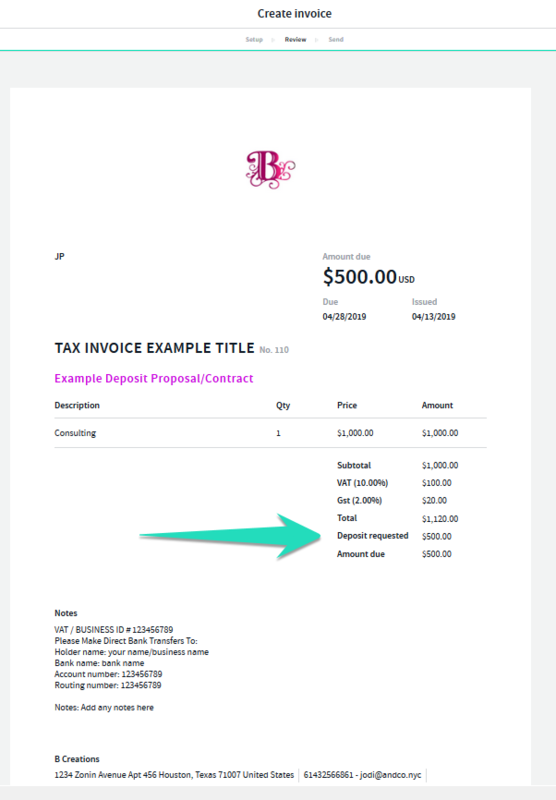 Simply stipulate that a deposit is required on your proposal/contract and once approved online an invoice is automatically created for you to send your client! When creating the proposal/contract or project > from the project terms select > the Require deposit option and enter in the deposit percentage / amount > save. 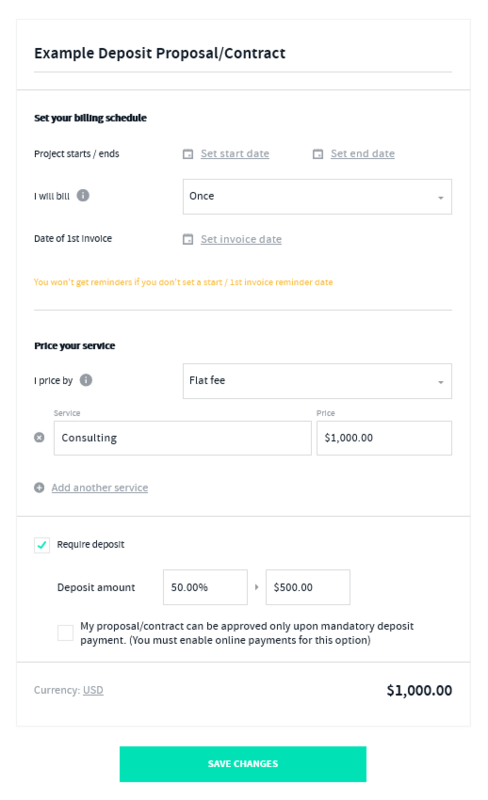 With this option you will need to issue the invoice once the proposal/contract has been approved, your project will automatically be created and you will see a notification to invoice the deposit via your Desk tab and project. 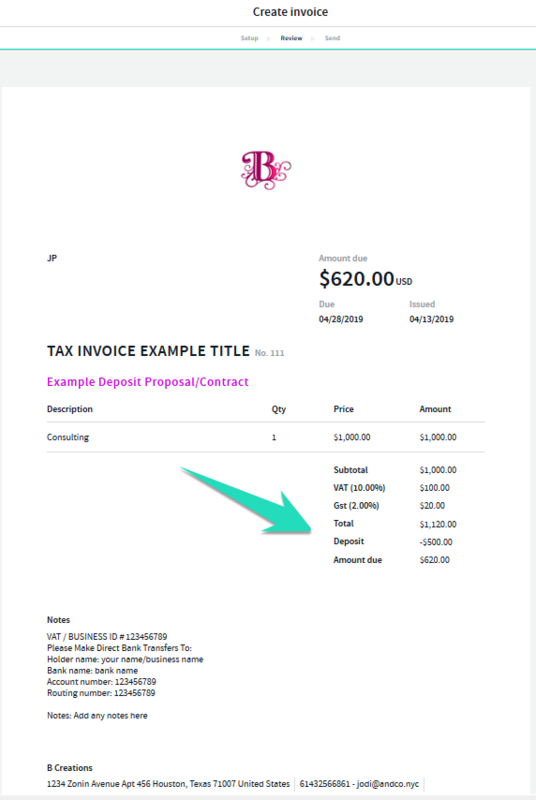 Once your contract has been approved online by your client or by you by selecting to manually approve the contract > approve, a task for your invoice is automatically created via your "Desk" tab. Select the Task > Invoice Deposit > send it to your client for payment or make any edits if required. 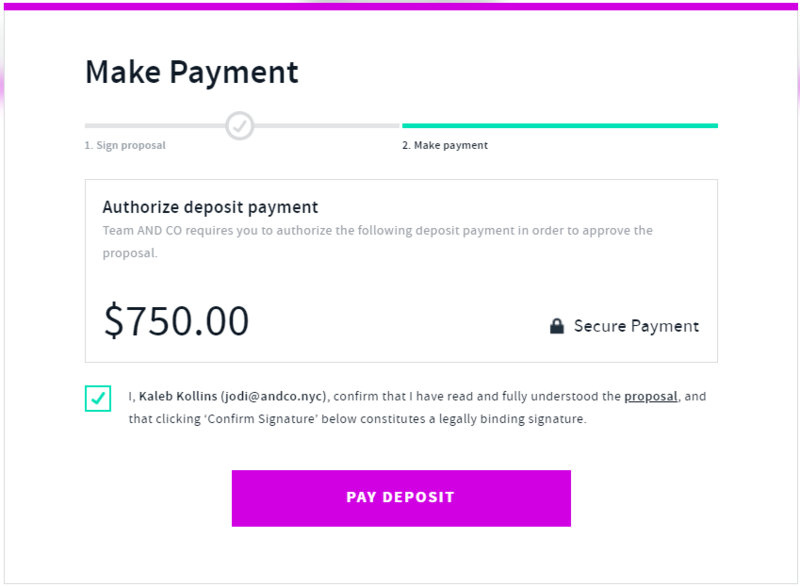 By Selecting "Require Online Payment Approval" for the deposit will prompt your client to pay instantly online via your PayMe page once they have signed and approved the contract. In this case you will need to set up your PayMe Page. Note: For Online Payment Approval you will need to have set up your PayMe page via the settings tab > Manage Online Payment Options and connected to one of our integrated Payment Gateways. Once your client has entered in their payment details for the deposit via the online payment approval option you will receive a notification as well as a income transaction via your in&out tab. You can send a payment receipt from this income payment > payment history > send payment receipt if required. Once the deposit has been paid your next invoice for the project will show the project total less deposit paid = balance owing. Deposits are a great way to minimize the risk of non-payment from your client. Deposits can also help you cover any initial costs of the project that are incurred. If your client pays the deposit online via your PayMe Page the invoice will be automatically marked as paid. If your client pays the invoice via an alternative payment option, eg. check, direct bank transfer, you can then select the invoice and select > "record payment" > enter in the amount paid and date. Once a deposit has been paid all subsequent invoices will take the deposit into consideration and invoice for the balance on your next/future invoice via the project.